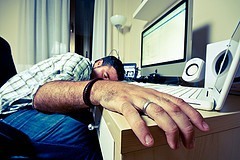 There comes a time in every fundraiser’s career when he or she needs to ask: am I boring my donors? Do I even know if I could be boring my donors? Think about your own reading habits – what makes you bored? For most of us, the answer is two-fold: first, we get bored if we keep reading the same things over and over again. Second, we get bored if we’re reading something that is overly technical, full of jargon, or just plain hard to read. The same is true of our donors. They get bored if they get the same communications (or type of communications) over and over again. And they get bored if the stuff you are sending them (online or offline) is hard to read (or looks hard to read). Your job as a fundraiser is to make sure that your donors don’t get bored of what you are sending them. So, you need to mix things up. Don’t just send newsletters every month and consider your job done. People will get tired of them. Instead, send a newsletter every quarter, and in the other months, send special updates, surveys, event calendars, and links to photo collages from your most recent volunteer events. Keep things interesting for your donors! Likewise, it is imperative that you make sure that your donor communications are easy to read, and that the look easy to read. Cut out the jargon and technical language. Write in a personal, conversational tone. Include lots of whitespace, pictures and headlines. When you make your communications look easy and fun to read, people will actually read them! 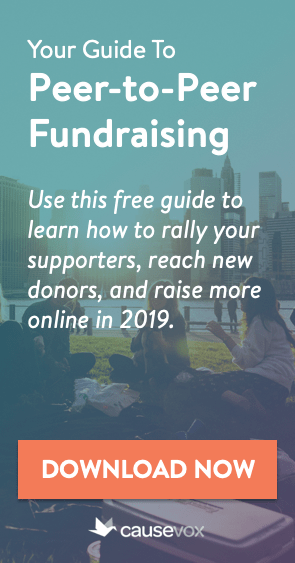 Learn more about great, easy to read fundraising communications by reading our article The 7 Fundamental Rules of Amazing Donor Communications. Have you ever thought about the ultimate goal for your donor communications? Did you ever stop to wonder why you send out those annual reports each year or the purpose of all of those donor newsletters? 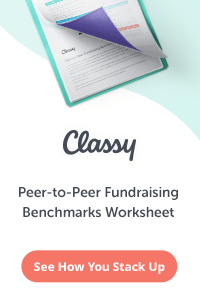 Without understanding the ultimate goal of a donor communications program, it is easy to get caught up in the stress and hustle of mailings, e-mails, and annual reports. For many non-profits, these things are done simply because it has always been that way, or because that’s what donors, the board, or the Executive Director expects. Yet… donor communications play a much more vital role for your non-profit. The ultimate goal for your donor communications is to build a strong, lifelong relationship with your donors. Let’s take a moment to really think through that sentence. First, did you know that you need to build a relationship with your donor? Remember, relationships need to be two-way streets (i.e. your donor isn’t just an ATM that responds to newsletters with small donation checks). There has to be some element of conversation involved, and both parties must benefit from the relationship itself. Second, you want your relationships with your donors to be strong. Think about that – you can have donor relationships that are really weak. You can have donors out there that are still sending in checks because it’s on their “to do” list each month or quarter, but once they really think about it, they will stop doing so. 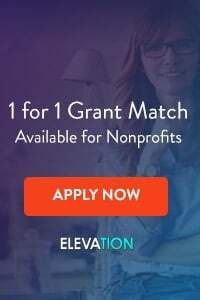 You can have lots of lukewarm relationships as well – donors who give to your organization because it seems nice, but who will give elsewhere when the next shiny new solicitation from another non-profit comes along. Have you thought through the strength of your donor relationships? The goal of your communications program is to make these relationships as strong as possible. Finally, you are trying to build lifelong donor relationships. Your goal isn’t to have to find new supporters year in, year out. Instead, you want to attract and engage donors who will support you for years or decades to come. Your donor communications program should be focused on building lifelong relationships with your donors. Next post: For Better Donor Communications, Cut Out the Jargon!